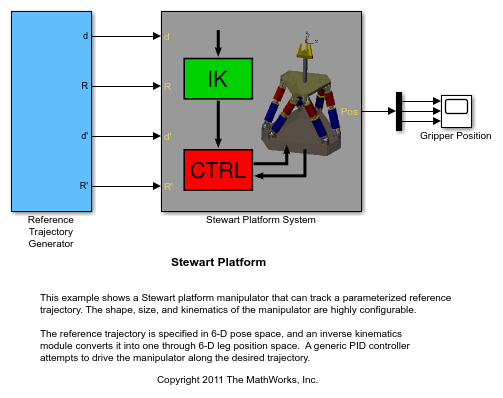 This model shows a Stewart platform manipulator that can track a parameterized reference trajectory. The shape, size, and kinematics of the manipulator are highly configurable. 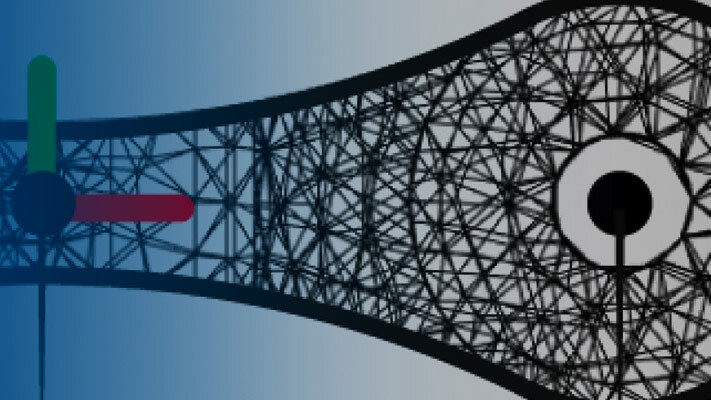 The reference trajectory is specified in 6-D pose space, and an inverse kinematics module converts it into one through 6-D leg position space. A generic PID controller attempts to drive the manipulator along the desired trajectory.